University of Santo Tomas (UST) Office for Admissions (OFAD) in a statement on their website said that official release date of USTET (UST Entrance Test) results for Academic Year AY 2014-2015 is on January 28, 2014. List of passers (results) will be available online as UST will advise the portal where examinee can log-in and view if he/she passed the test. USTET was administered by OFAD last September 1 and 29, 2013 at UST España, Manila. The third batch of exam is scheduled on December 1, 2013. The official online student publication of UST, TomasinoWeb reports that more than 14,000 applicants took the exam last September 1 only. TomasinoWeb said that the OFAD continues to improve examination procedures as answer sheets for the USTET are now barcoded. Unlike the traditional shading or blackening of applicant numbers, there is now a necessary control number assigned to an applicant that corresponds to his or her own barcoded answer sheet. And unlike last year’s admissions, students and parents are now free to choose from two procedures in order to take the USTET. They can now apply online and pay through Metrobank while sending the necessary documents for application through the use of LBC or any courier. They are also free to come over and pay directly, submitting the necessary documents to get their test permits. Since the high school grades are now required before taking USTET, 40 percent of the applicant’s total score will be based on his/her high school academic performance. The remaining 60 percent will come from USTET results. 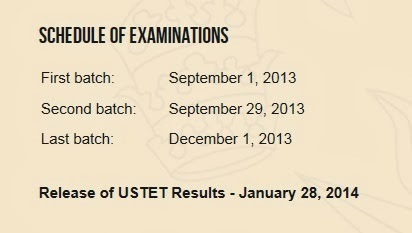 The target date of releasing USTET results is the same on AY 2013-2014, January 28. Update: complete list of passers will be posted also in UST campus on January 29, 2014. Every year, UST conducts USTET usually on the month of August. However, first USTET exam this year was re-scheduled to September due to monsoon rains that affect Metro Manila. Schedule of application for AY 2014-2015 is still ongoing (until November 29, 2013). Check here for the full details and policy guidelines. 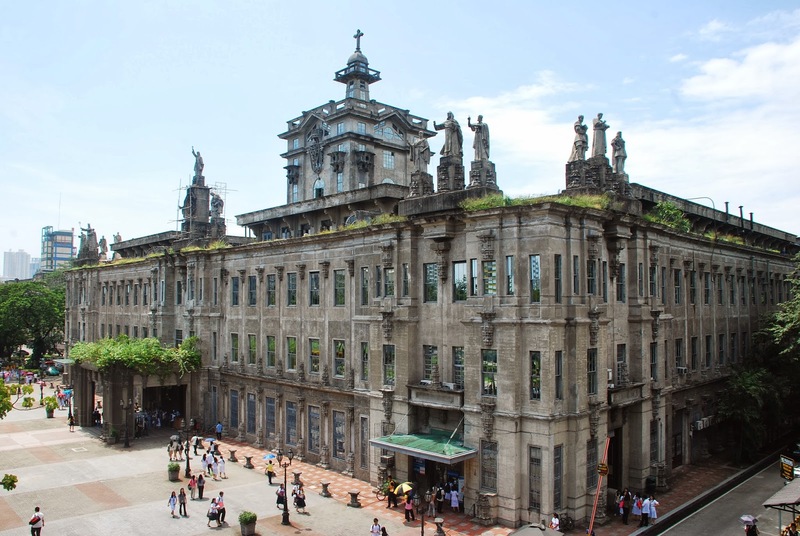 UST is one of the best education institutions in the Philippines and the largest Catholic University in the World in terms of student population in a single campus. Also, it has the most number of accredited programs according to PACUCOA.